Rule 6: Tap feet to pass. The person whose feet are being tapped moves out of the way to the corner at the lane end. Do NOT speed up if you are being passed. Rule 7: Move to the side to allow faster people to pass. Allow them to turn at the centre of the lane wall. 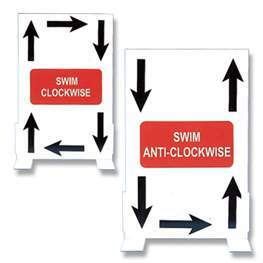 if there are more than one, allow all faster swimmers behind you to pass. Rule 8: Do NOT turn or push off in front of faster swimmers. Faster swimmers should allow slower swimmers as much time as possible before starting.